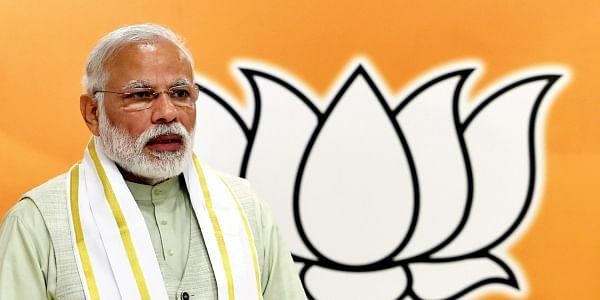 Prior to his visit, a horde of Union Ministers and Chief Ministers of BJP-ruled states will be campaigning in all the 89 constituencies for the first phase. GANDHINAGAR: Prime Minister Narendra Modi will be back in his home state to campaign on November 27 and 29, when he is slated to address eight rallies across Saurashtra and south Gujarat, where polling for the first phase of assembly elections will be held on December 9. On the morning of November 27, Modi would address people of Bhuj in Kutch district and then move on to address public gatherings in Saurashtra region at Jasdan town of Rajkot and Dhari in Amreli district before flying off to Kamrej of Surat district in south Gujarat. On November 29, he would be back in the state to address poll rallies in Saurashtra region at Morbi and Prachi villages near Somnath, Palitana in Bhavnagar and at Navsari in south Gujarat. "Each rally has been organized so that people from five to six surrounding constituencies can participate," BJP's Gujarat incharge Bhupendra Yadav told the media. Prior to Modi's campaigning, several prominent BJP leaders will address rallies in different parts of state on November 26 and 27. They would align their campaign by merging the "Chai pe charcha" with workers across 50,000 booths in all the 89 constituencies with tuning in and listen to Prime Minister's "Mann ki Baat". The BJP has named this programme as 'Mann Ki Baat - Chai Ke Saath'. Party workers will interact with gathered people at the polling booth region and project the party's themes and the development works carried out by the BJP over the years. Union Ministers Rajnath Singh, Nitin Gadkari, Arun Jaitley, Sushma Swaraj, and Uma Bharti, and Chief Ministers Yogi Adityanath (Uttar Pradesh), Vasundhara Raje (Rajastha), Shivraj Singh Chouhan (Madhya Pradesh) and Raman Singh (Chhattisgarh) will also be in the state for the campaigning. Along with them, BJP national President Amit Shah, Gujarat Chief Minister Vijay Rupani, Deputy Chief Minister Nitin Patel, state BJP president Jitu Vaghani, former Chief Minister Anandiben Patel and national Vice President Purshottam Rupala will address gatherings.